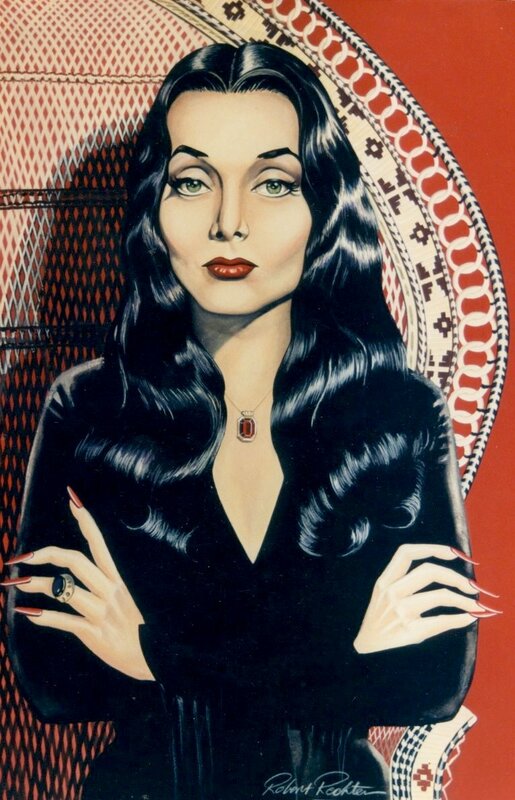 Morticia - Garage Art (by minkshmink on pinterest). . HD Wallpaper and background images in the The Addams Family 1964 club. The artist did a marvelous job, yet isn't given any credit. His name is on the art, so why? Also, it doesn't have any keywords (tags) added for search purposes. All of this is important for numerous reasons, and it only takes a few seconds to add. they'd probably get more hits, and some would probably get saved / fanned. Please let me know if you fix this, and I'll be happy to come back to fan + save this.